The support of our generous partners makes it possible for Citymeals to provide nourishing meals and warm visits to the city’s homebound elderly throughout the year. Complete the form below to learn more about our partnership opportunities. Simply select which opportunities interest you most. Designate a weekend menu item to benefit Citymeals. Sponsor meal delivery within city blocks and neighborhoods. Prepare special meals to deliver from your restaurant. Enjoy one-of-a-kind dining experiences at the best tables in town. Sponsor meals near your business – volunteer options available. Engage with fellow members of the restaurant community. Support us through one of our exclusive events. 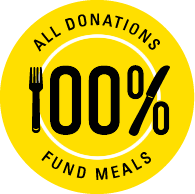 Enable your customers to “round up” purchases to benefit Citymeals. Select a dessert from your menu to support Citymeals.